Since the EuroMaidan Revolution that drove President Viktor Yanukovych from power in 2014, Ukraine has been constantly diving into reform processes. 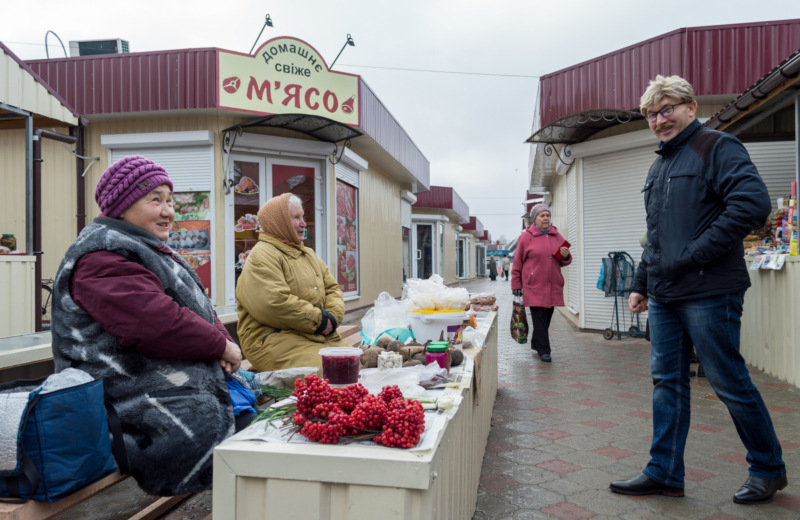 Despite “considerable achievements” recognized by the Chatham House “Struggle for Ukraine” report, people in regions rarely feel the impact on their lives. Salaries are decreasing in their purchasing power and mayors often are blamed in all troubles. Citizens rarely complain directly through official channels to address mayors or their offices to solve cities problems. Collaboration, so much supported by Michael Bloomberg, the former mayor of New York who launched the Engaged Cities Award, seems to be quite weak in Ukraine. According to International Republican Institute’s “Rating of cities in Ukraine,” only 7 percent of Ukrainians approve the performance of their mayors while the institutions they trust the most are church and army. People in Lutsk, Ivano-Frankivsk and Rivne are the most satisfied with the opportunities in their cities. However, still the overall assessment in slightly higher than overage. Vinnytsia is considered to be the most comfortable for moving around the city. Learning from others is a good way to improve things, but more important is to turn that knowledge into practice. We at Western NIS Enterprise Fund invited successful mayors and experts from abroad to the International Mayors Summit held in Kyiv in November last year to meet their Ukrainian colleagues and discuss how innovations can help to solve city problems. Unfortunately, there is an innovation gap in Ukraine – it’s not about the impact of flying taxis or alternative energy in schools, but more about the effective and transparent functioning of all services for all citizens. I was positively surprised to learn about apps that the prince of the Netherlands, an honorable guest of the Summit, uses in his daily life. During the interview in Kyiv, Constantijn van Oranje told me that he has an app to get the garbage removed from his home that he can use while traveling around the world, and he is ordering food that is delivered by electro-cars. Ecology is an important responsibility of Dutch citizens, not only mayors. Bo Frank, Lord Mayor of Vaxjo, the greenest city of the European Union, even took a walk on Kyiv’s streets to analyze what could be improved. They do not use salt in Sweden to remove the snow on streets, but more innovative technology that does not destroy shoes and does not create mire unlike in Ukraine. According to Frank, innovations are helping to facilitate people’s life, economize their money and time. We analyzed innovations in Ukrainian cities based on European Capital of Innovation Award (iCapital). Ukrainian cities have introduced open budgets. They use ProZorro for public procurement. 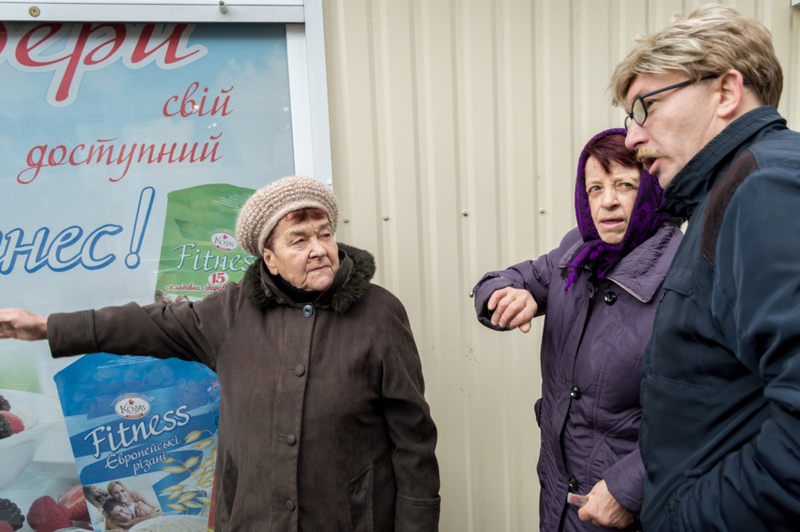 Some started introducing cashless payment systems in public transport, like Zhytomyr did, and smart stops, while inclusiveness is really a weak point. There is a good record of energy efficient cities, in particular Dolyna and Voznesensk, as well as safe city mechanisms installed in Kyiv, Mariupol and few others. Despite these steps, people often do not feel the impact on their lives, or do not know about. To better understand what citizens’ pains are, we set an experiment together with 1+1 TV Channel – called “undercover mayor. ”The idea is simple – disguise mayors into other professions to allow them to talk directly without the “bureaucracy mask” to their citizens. Six mayors agreed to become cleaners, trolley conductors, market sellers, university professors and kindergarten workers, even Santa at the main square of their cities. Participants included the mayors of Hlukhiv, Zhytomyr, Trostyanets, Dolyna, Khmelnytskyy and Chernivtsi. Whether in the eastern part of the country or in the west, cities face similar problems. Not a surprise, but a man is usually considered to be a better fit for such position – as he deals with tubes, energy, transport etc. This is supported by the statistics of the World Economic Forum, reflecting that only 5 percent of mayors in the world are women. In Ukraine, this figure is higher, up to 9 percent, but mostly of small cities. I have noticed that the majority of citizens love their hometowns and often say: “Our city is the best. ”However a sad discovery for myself was that people couldn’t be concrete in their dissatisfaction. They could easily say they don’t like local authority, but were unable to list main problems to solve. People wouldn’t address mayors officially through traditional channels, neither though innovative systems some cities have introduced. This lack of trust in the system is mutually unbeneficial. On the one hand, citizens justify their inactivity by the disappointment in authorities, and would not even spend some 30 minutes to write a petition or set an appointment in mayor’s office. On the other hand, mayors do not get this additional pressure from their community and feel the lack of control. Some mayors, however, are changing the situation by being responsive through Facebook. The social network has become a reporting instrument for authorities. Talking to people, we’ve also noticed they often lack an understanding of how their city should develop, which is to a big extent related to the poor tourism indices, not only internationally, but also within the country. Therefore, citizens themselves can hardly make comparisons with what their city could be. Mayors, in their turn, try to build a strategy that always has a few identical points: attracting investors, developing tourism, creating jobs. The mayor of Khmelnytsky, who served as a street cleaner in our experiment, complained about the big list of vacancies in communal services, up to 200, with decent salaries, he said. But his city faces a big brain and hands drain abroad. He mentioned negotiations with German investors, ready to open a factory there, but would have difficulties to find workers. Maybe a salary of approximately 200 euros is not sufficient in Ukraine’s economic situation. Dolyna Mayor Volodymyr Harazd says that there is one precondition to being a good mayor: love your city. And he does. Dolyna is recognized as one of the most energy-efficient cities. Once refused from the central heating, the city created a new system of energy management, public institutions and one-third of houses were insulated. In Khmelnytsky and Kyiv, a mobile app shows the presence of snow-cleaning technique around the city, as well as their functioning. “As a mayor, you have an opportunity and ability to impact people’s lives on a daily basis,” Annise Parker, former mayor of Houston, in her address to the participants of the International Mayors Summit and her Ukrainian colleagues. Despite the attempts to build a new system, the human factor and political affiliations are still dominant. In some cities, like Mykolaiv, when a mayor did not have the support of local deputies, the decision-making process became very inefficient and led to bargaining that is not always for the good of the people. This political game shows where real priorities of local authorities are. Making such programs on TV seems not an easy task. According to an internal focus group, discussing the perception of local authorities, negative content is more desirable on screen than positive. Citizens want to see justice, how they could potentially control their authorities. They want to see punishment for thefts. They want crimes or schemes revealed. When positive news are screened about politicians and governors, they quickly tune out, distrustful of the information, as they live in poor conditions and blame the politicians, mainly because of corruption. Generally, people just want to live better. The mayor’s job is to ensure conditions to make positive changes happen. The task of a citizen does not end the day of elections. Responsible citizens monitor, control, advise. Only a two-way process of transformation will bring results. Iryna Ozymok is the program manager for local economic development and founder of the International Mayors Summit of the Western NIS Enterprise Fund.